Rashid Al Oraimi, editor-in-chief of Abu Dhabi-based Arabic daily Al Ittihad, has criticised the draft of the amended media law. In a letter sent to the National Media Council (NMC), Oraimi, who is still waiting for a reply, hopes his remarks would be considered by the cabinet before promulgating the law. Without divulging the details of the letter, he said he has stressed on the keen interest of journalists on the protection of their rights. 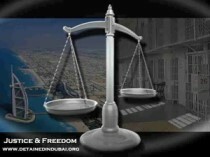 The proposed law does not have any advantages, according to Farid Wagdy, chief reporter of Al Bayan Arabic newspaper. Wagdy believes the law has dwarfed the legal process that guarantees the freedom of expression and speech, especially through the print media. “At first look, we might think that it (the law) does not relate to media but to the organisation issuing necessary licences pertaining to media work,” he said. Wagdy added the media has made many achievements throughout the establishment of the federation, a fact that makes it of utmost importance as it complements the legislative, executive and judicial authorities. Besides, it has not explicitly reflected Shaikh Mohammed’s ruling of not imprisoning journalists for reasons related to work. “The draft law leaves the door open for the judge to choose between pronouncing a verdict according to the penal law or the Code of Organising the Media Activities. This makes the journalist subject to both laws, which exposes him to prison as per the penal law.